Hi Ho, Hi Ho, it's off to plant we go! 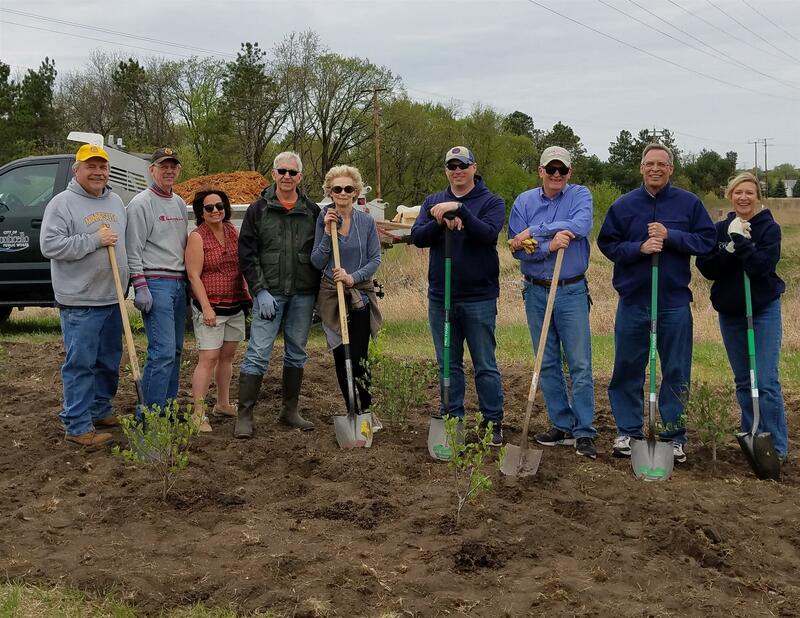 May 11th was a busy day as Rotarians, shovels in hand, planted trees and shrubs with the City of Monticello Parks Department along the pathway off Chelsea Road. 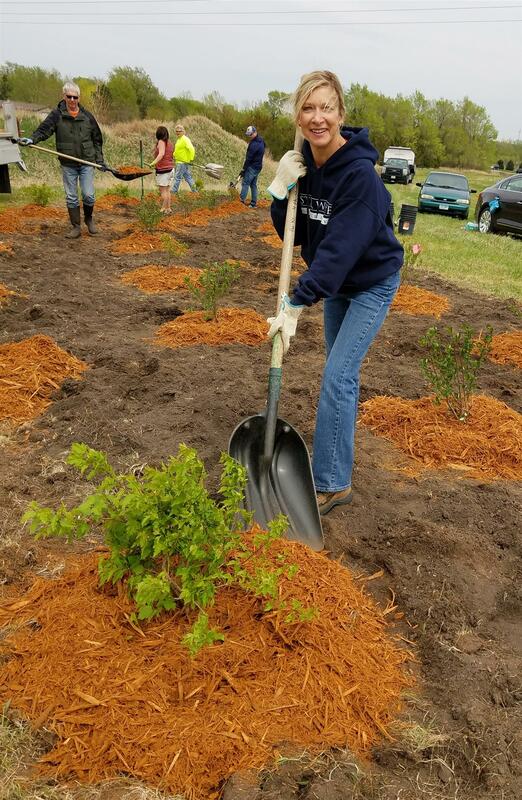 At the Bertram Chain of Lakes Regional Park Edible Garden volunteers placed blueberry, raspberry, and strawberry plants. 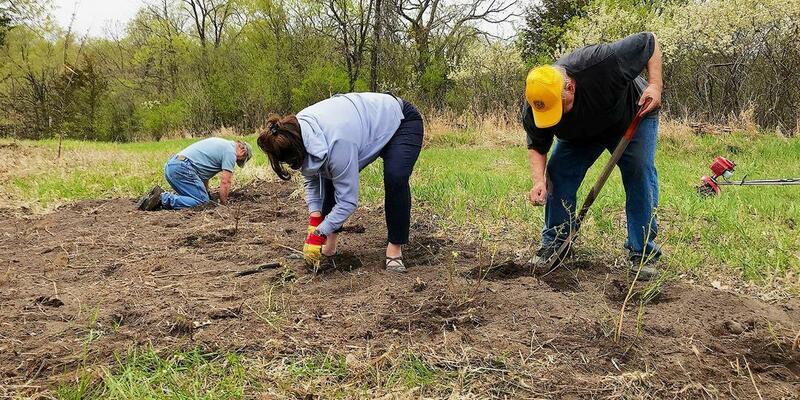 Twenty five apple and plum trees were also planted at the site.